Skat Foundation supports the creation of new knowledge and the application of existing knowledge in a new and creative way with the purpose of generating new concepts, methodologies and approaches in all its areas of expertise. Skat grew out of the appropriate technology movement of the 1970s that proposed an alternative to capital intensive technology exported from industrialised countries with little regard to the vastly social, economic or environment contexts that affect how beneficial – or harmful – technology can be. Today, we still see that technology has an important role to play for helping those in poverty, improve their livelihoods and quality of life – but not in isolation. Developing or introducing new technologies to solve problems, such as water scarcity or climate change resilience, needs to be sensitive to the context in which that technology will be used. Between 2011 and 2013, Skat was a member of an EU-funded research project, called WASHTech, and we led the development of the Technology Applicability Framework (TAF) for assessing the match between a given technology and the context in which it is to be used. We also developed guidelines for a Technology Introduction Process (TIP) because we recognised that many good ideas fall into the ‘valley of death’ and are not successful at scale. The TAF has been used all over the world, from WaterAid assessing pour flush latrines in remote Nicaragua; to IRC reviewing solar pumps in rural South Sudan; to GIZ evaluating wastewater treatment in urban Kabul, Afghanistan. It provides an easy to use, participatory tool to help with the introduction of new technology or the evaluation of established technologies. 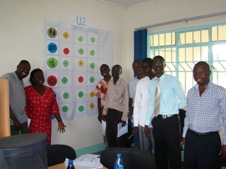 Skat Foundation maintains the dedicated washtechnologies.net website, and we provide technical advice on funding review panels, such as USAID’s Development Innovation Ventures. Up to three billion people live in regions of the world with no electricity or without reliable electrical supply. In those regions maintaining a secure “cold chain” for the delivery of vaccination programs and preserving the safety and integrity of medicines is extremely challenging for improving health. Consequently, in many regions, vaccination programs and proper health care delivery are very weak or simply do not exist due to lack of reliable electricity. In regions without reliable electricity, millions of dollars worth vaccines are spoiled each year. These losses are set to increase with ever more expensive vaccines coming on the market. 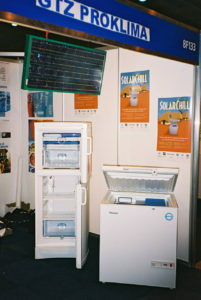 The SolarChill Project aims to tangibly improve the quality of our environment and human health by delivering affordable, climate friendly, lead battery free, solar powered vaccine cooling and food and small commercial refrigeration to parts of the world that are without reliable electrical supply. 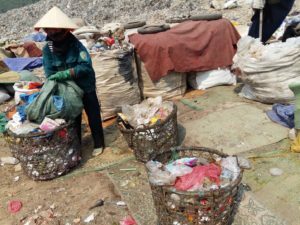 A comparison of the formal and informal sectors in the six cities of six different countries by a GIZ study shows that the formal sector primarily works in service provision (collection and disposal) and does not achieve high recycling rates. This results in high operational costs, because the quantities recovered are small, and so even modest costs to collect these materials are not offset by revenues from selling them to the value chain. The informal sector, on the contrary, primarily works in recovery and recycling of valuable materials. Although operational costs are often higher than in the formal sector, the high revenues from materials result in a much lower cost per tonne, in most cases a net benefit. But there are are several examples across the world in developing countries where also in the service provisions who provide similar or improved services in collection and recovery for processing. Such examples exist from Latin America to Asia and Africa. 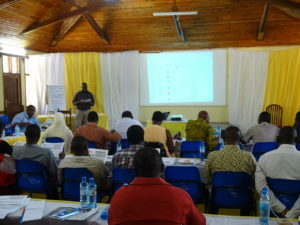 The research attempts to find what are the cost savings and why these are not widely replicated or gets upscaled.